Today we will understand the concept of Multilayer Perceptron. 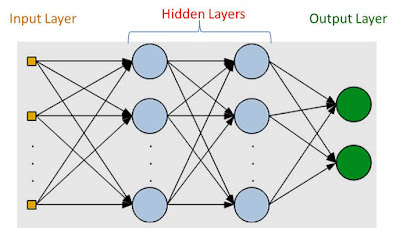 You already know that the basic unit of a neural network is a network that has just a single node, and this is referred to as the perceptron. The perceptron is made up of inputs x1, x2, …, xn their corresponding weights w1, w2, …, wn. A function known as activation function takes these inputs, multiplies them with their corresponding weights and produces an output y. 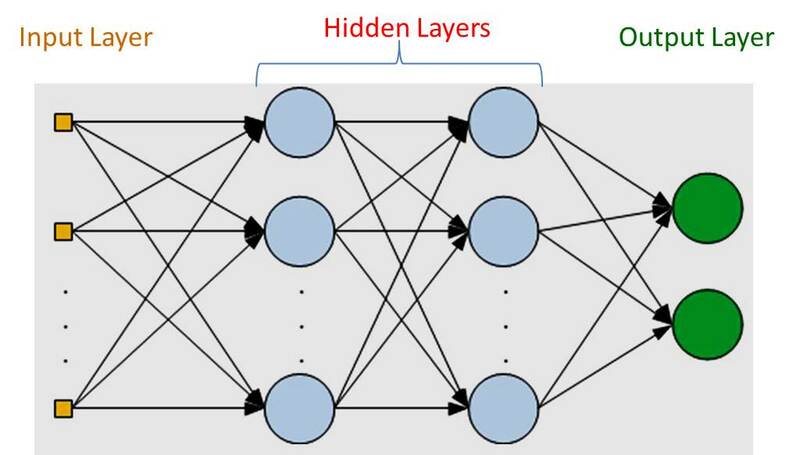 A multilayer perceptron is a class of neural network that is made up of at least 3 nodes. So now you can see the difference. Also, each of the node of the multilayer perceptron, except the input node is a neuron that uses a non-linear activation function. The nodes of the multilayer perceptron are arranged in layers. Also note the the learning algorithm for the multilayer perceptron is known as back propagation(explained here). In MLP, the neurons use non-linear activation functions that is designed to model the behavior of the neurons in the human brain. An multi-layer perceptron has a linear activation function in all its neuron and uses backpropagation for its training. The activation function combines the input to the neuron with the weights and then adds a bias to produce the output. In other words, the activation function maps the weighted inputs to the output of the neuron. Yet another type of activation function that can be used is the Rectified Linear Unit or ReLU which is said to have better performance than the logistic function and the hyperbolic tangent function. An MLP is made up of a set of nodes which forms the input layer, one or more hidden layers, and an output layer. Remember that from the definition of multilayer perceptron, there must be one or more hidden layers. This means that in general, the layers of an MLP should be a minimum of three layers, since we have also the input and the output layer. This is illustrated in the figure below. The training process of the MLP occurs by continuous adjustment of the weights of the connections after each processing. This adjustment is based on the error in output(which is the different between the expected result and the output). This continuous adjustment of the weights is a supervised learning process called ‘backpropagation’. In the backward pass, partial derivatives of the cost function with respects to the different parameters are propagated back through the network. The process continues until the error is at the lowest value. Another learning method for the multilayer perceptron is the Stochastic Gradient Descent) which is explained in details in another tutorial.